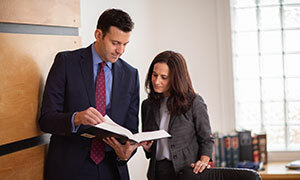 Learn about how our lawyers can help if your loved one suffered bed sores/pressure sores/decubitus ulcers in a nursing home or other care facility. Bed sores—also called decubitus ulcers and pressure sores—may develop on people with limited mobility when caregivers fail to properly adjust their positions in beds or chairs, do not regularly clean them, or neglect to adequately feed or hydrate them. These wounds are serious medical conditions which can result in infections, sepsis and death, and they always are preventable. When pressure from a bed or chair impairs blood flow, the affected tissue dies. These injuries commonly develop on buttocks, hips, elbows and heels. Serious pressure ulcers can be prevented by turning the patient on a regular schedule, proper feeding and hydration, and early detection of potential problems. If a nursing home or hospital patient develops serious bed sores, it is virtually always the result of neglect by staff. Federal and state laws require that nursing homes insure their residents do not suffer from bed sores. If sores are present when a resident is admitted to a home, the condition must be immediately and properly treated, and not allowed to become worse. Notwithstanding these strict laws, more than one-quarter of America’s nursing home residents develop bed sores during their stays. This is among the most common forms of nursing home abuse and neglect. Bed sores are classified by the stages of the injury to a patient. They range from 1 to 4, with 4 representing the most serious condition. Stage 3 and Stage 4 bed sores are regarded to be very serious, as they present dangerous risks for those who develop them. Remember, bed sores are always preventable with proper attention and care. When they develop on a nursing home resident or hospital patient, it is virtually always the result of carelessness or neglect by staff members. Family members of a nursing home resident or hospital patient should regularly check pressure points on buttocks, hips, elbows and heels for any indication of bed sores. They begin as red areas that do not turn white when pressed. At any indication of a possible problem, alert staff members and your loved one’s physician. Our injury lawyers and staff want to help you, in the unfortunate event that you need our help. Just e-mail or telephone us for a free, no obligation, confidential consultation. To learn how our lawyers can help if you or a loved one developed a pressure ulcer in a nursing home, hospital or other care facility, just complete our convenient online contact form.